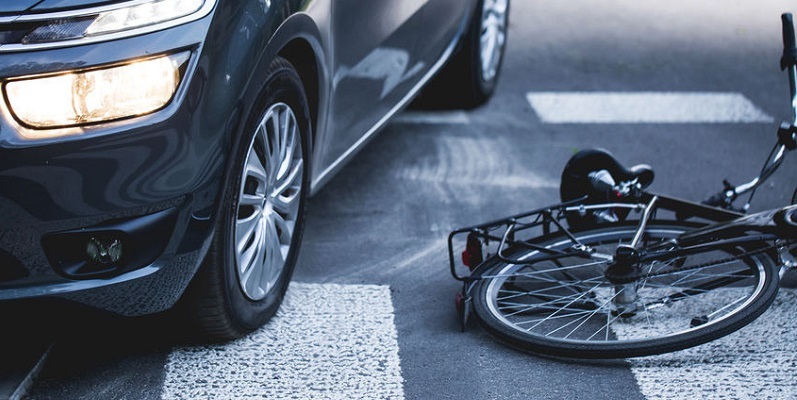 About 70 percent of all fatal bicycle accidents in the U.S. happen in cities, where collisions are the most common and tend to result in more serious injuries. In 2015, 45,000 bicycle collisions were reported in the United States, down from 50,000 reported the previous year. But during the same period, the number of fatal accidents had risen by over 12 percent. According to the Governors Highway Safety Association, since 2011 an average of 55 bicyclists have died each year on America’s roads. An increasing number of inexperienced bicyclists unfamiliar with safe practices are taking to the roads. Motorists are failing to exercise necessary caution when sharing the road with cyclists. Cities are failing to implement infrastructure changes that would make roads safer for bicyclists. Many cities lack mandatory bicycle helmet laws, which alone would likely make cycling safer. Inattention. Distracted drivers are 30 percent more likely than undistracted drivers to hit bicyclists. Meanwhile, more and more bicyclists are getting distracted by their headphones or cell phones. Failure to cede right of way. Both motorists and bicyclists too often fail to yield the right of way at intersections when they’re supposed to. Poor road conditions. About 13 percent of all bicycle accidents are caused by roads in disrepair. And bicycles don’t do much to protect riders when there is an accident. Riding at night. More than half of all bicycle accidents occur at night. Cyclists who neglect to wear reflective gear are putting themselves at greater risk. How Can We Prevent Fatal Bicycle Accidents in Colorado? Offer more educational programs and make safety information readily available to all. Improve infrastructure. Make roads and highways more bike-friendly by striping bicycle lanes, closing gaps between adjacent bicycle paths, and building more and better parking areas for bicycles. Build multi-use trails. Build paved, multi-use trails to provide safe areas for bicyclists to ride without having to fear collisions with motorists. Encourage use of helmets. Pass mandatory bicycle-helmet laws. Wearing a helmet may prevent head and brain injuries in the event of a bicycle accident. About 70 percent of all fatal bicycle accidents in the U.S. happen in cities, where collisions are the most common and tend to result in more serious injuries. But Colorado cities are relatively safe for cyclists. According to the Washington Post, Boulder and Fort Collins are both among the top ten safest cities for bicyclists. Boulder is number three, Fort Collins is number eight. Although some of the very safest cities to ride a bicycle are in California–with Davis and Berkeley ranking first and second, respectively–it turns out that Los Angeles is number one in a less enviable category. L.A. is the most dangerous city in the nation to ride a bike in. If you or a loved one has been injured in a bicycling accident, contact Dan Rosen at 303-454-8000 or 800-ROSEN-911 to schedule your free initial consultation with an experienced personal injury attorney.